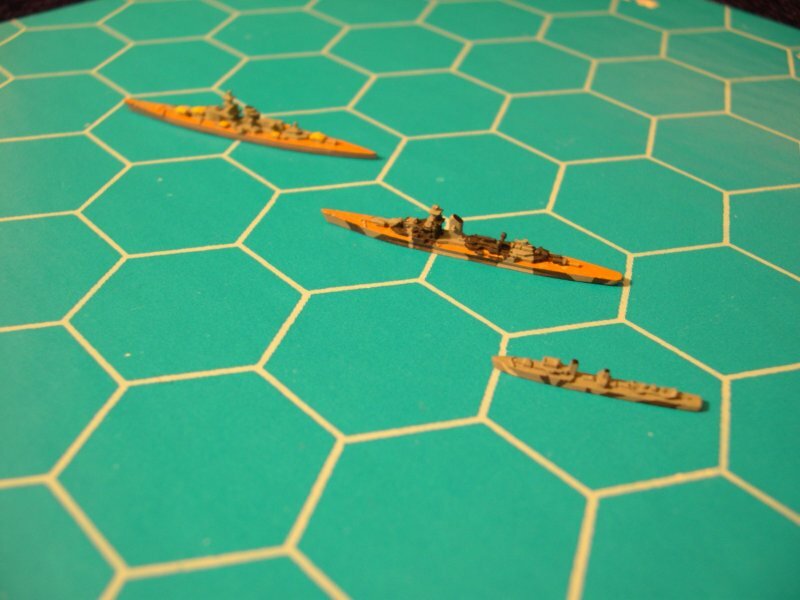 NORTH CAPE is a simulation of surface naval combat during 1939-43, using C in C’s unique game system combining the visual appeal of naval ship miniatures with the convenience of a boardgame. Two players, representing the respective commanders, maneuver scale warship replicas and engage in combat to achieve victory for their commands. Eight different historical scenarios provide you a chance to try your skill in a wide variety of tactical situations. Two can also be played solitaire. In addition, a campaign game offers wider scope and endless variety. Based on the General Quarters miniatures rules. 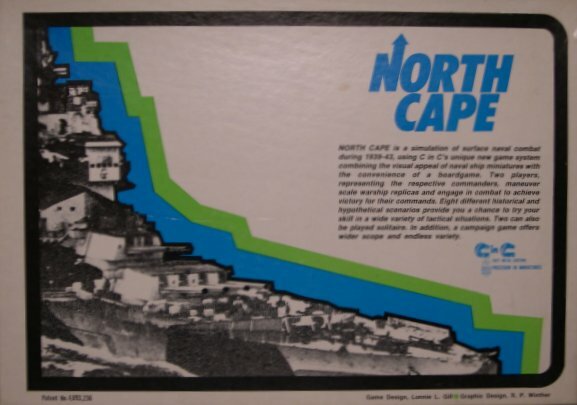 North Cape was originally released in 1978 and for ships relied on the 1/4800 scale vessels produced by CinC and still current in their catalogue. These vessels are well detailed given their diminutive size although they are larger than the 1/6000 vessels you see spread through Thomo’s Hole on various painting exercises. We have been looking into doing enough paper tactical boards to release the last 400+ of the games available. Interested in feed back on interest in that. 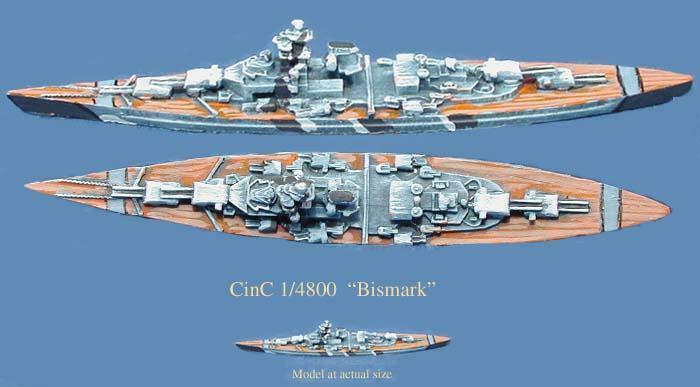 Price would be about $50-$60 (originally $17) with possibly additional ships or what if items (16″ gun Scharnhorst!). Pre-publication and/or shipping deals for direct purchase. Whilst CinC are inviting comments, I still haven’t found a way to make those comments to them but I for one would certainly buy a copy at this price. There would not be too much painting involved and I think it would make a good set for a Friday night game. Aussies from Eureka have arrived, so mixed with some of the Valiant Plastics I will have an Australian Btn for Crete or Malaya 🙂 Uniforms in the later war became “green” as opposed to the early Khaki. Of course in 20mm.